Sometimes, all you need to kickstart your dream is a chance. In the summer of 2013, Matt Eliason was just a regular guy living and working in Chicago. A former standout college soccer player at Northwestern University, he had largely moved on from the game. Then he got invited to play in a nationally televised exhibition match featuring global icon Lionel Messi and many other world soccer stars. What happened on that day at Soldier Field is the stuff of Hollywood – Eliason, a nobody among somebodies, scored a stunning bicycle-kick goal and stole the show. (WATCH THE GOAL) The highlight was shown around the world. The goal was named as the top sports play of the week by ESPN. Messi & Me is the story of what happened next, as Eliason embarked on a soccer quest, giving up the 9-to-5 life, working his way back into shape, and signing with a club in Iceland. 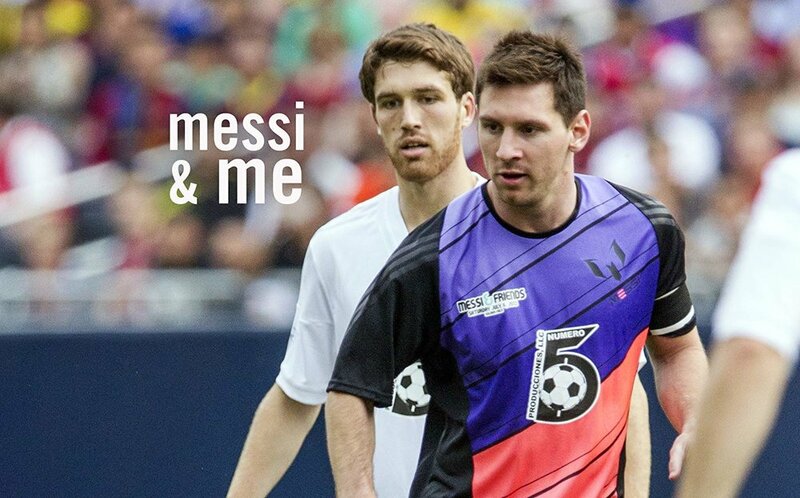 Messi & Me is directed by Renny Maslow and produced by Jake Abraham, with executive producers Tim Lenahan (head coach of Northwestern’s men’s soccer team) and Gregg Latterman. It is the fourth film distributed or marketed by the Kicking + Screening Media Group, the world’s only soccer-specific film-distribution company. The film made its world premiere at the 2018 Kicking + Screening Soccer Film Festival in New York, thrilling a sold-out audience with Eliason’s inspiring story. "From a cubicle in downtown Chicago, to the pitch at Soldier Field, to a pro team in Iceland, Eliason went on an unreal journey," says Abraham. "All thanks to the game of soccer. I hope everyone gets a chance to see this most unlikely story." Messi & Me is now available to stream for just $2.99 through the KSMG website. The film is also available for theatrical screenings, festival screenings, event screenings, and further digital distribution opportunities.